Exonumia are numismatic items (such as tokens, medals, or scrip) other than coins and paper money. This includes "Good For" tokens, badges, counterstamped coins, elongated coins, encased coins, souvenir medallions, tags, wooden nickels and other similar items. It is related to numismatics (concerned with coins which have been legal tender), and many coin collectors are also exonumists. The noun exonumia is derived from two classical roots: exo, meaning "out-of" in Greek, and nummus, meaning "coin" in Latin (from Greek νοῦμμος - noummos, "coin"); thus, "out[side]-of-[the category]coins". Usually, the term "exonumia" is applied to these objects in the United States, while the equivalent British term is paranumismatica. The words exonumist and exonumia were coined in July 1960 by Russell Rulau, a recognized authority and author on the subject, and accepted by Webster's dictionary in 1965. Chronologically, in the United States many Exonumia items were used as currency when actual money was not easily available in the economy. A notable exception to this definition are Medals, which were generally not used as currency or exchange. See the 'for clarification' section below for distinctions between various branches of exonumia. Tokens were used both to advertise and to facilitate commerce. Token authority Russell Rulau offers a broad definition for exonumia, and lines between categories can be fuzzy. For example, an advertising token may also be considered a medal. Good For tokens may also advertise. Counterstamped coins have been called “little billboards.” Strictly, exonumia is anything not a governmental issue coin. This could almost mean anything coin-like. The English term "Para-numismatica", or alongside currency, appears more limiting, hinting that tokens must have some sort of “value” or monetary usage. 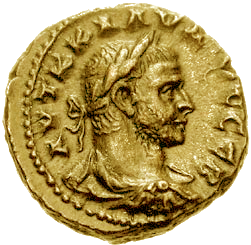 One definition of Para-numismatica is anything coin-like but not a coin. In America this is not the accepted usage. Rulau's 1040 page tome, UNITED STATES TOKENS: 1700-1900 includes many tokens without any monetary value depicted on the token. While he included many items, some types of exonumia were not included just so the book would not get any bigger. Has a ‘value,’ facilitating commerce, such as Good For Something. Commemoration, remembrance, dedication, or the like, for some person, place, idea or event. Typically catalogs of tokens are organized by location, time period and/or type of item. Historically the need for tokens grew out of the need for currency. In America some tokens legally circulated alongside or instead of currency up until recently. Hard Times Tokens and Civil War Tokens each were the size of the contemporary cent. Afterwards, value based items, such as Good For (amount of money), Good For one quart of Milk, Good For one beer, Good For one ride… and others were specifically linked to commerce of the store or place of issue. For clarity, Exonumia are actual numismatic items, (other than government coins or paper money) which can be studied or collected. Notaphily = Paper Money, (Notaphile/Notaphiliac). Exonumists are attentive to not only the history behind the items but the shapes, and what types of items they are. Even though the following are legitimate categories for exonumia, they are not included in the 1700-1900 reference. The general distinction between Tokens from Medals is that medals (both privately minted and minted by governments,) primarily do not have an actual monetary amount or 'value' but generally are a commemoration of people, ideals, or places. Another important area of token collecting is Latin American coffee or plantation tokens. Many but not all of these tokens were made in the United States while others were made in Europe and England. These tokens are circulated in more than one language although Spanish is the prevalent one. Plantation tokens can have an array of denominations and names. The name can be the owner or their relatives. Sometimes the token can have the name of the farm (or finca). Lastly, tokens had allegorical symbols to identify the owner. Very little documentation exists since the inception of Latin American tokens, therefore, many tokens cannot be verified as to who the real owner is or what the symbol or symbols meant. Tokens in Latin America were used as currency since there was not enough official currency available. Customarily, workers could convert the tokens to official currency on Saturdays. It is widely understood that many plantation owners in Latin America had their own commissaries, therefore, the workers were able to use the farm owners tokens to pay for provisions. It is important to note that in the 19th century many of the plantation workers and families lived in the farm they worked on. Latin American tokens were made in all types of base metals and alloys plus plastic, celluloid and bakelite. 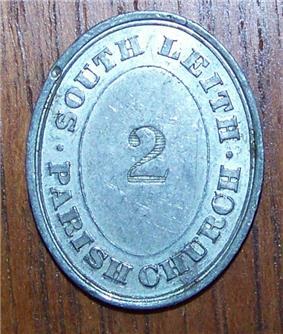 Unique to Costa Rica were tokens made in paper fashion, either uniface or printed on both sides. Many people call these paper chits. The word "Boleto" is used solely in Costa Rica for the word token whereas "ficha" is used in the rest of Latin America. Exonumia.com Exonumia Information, Articles, Web Links and Fraternal Abbreviations.